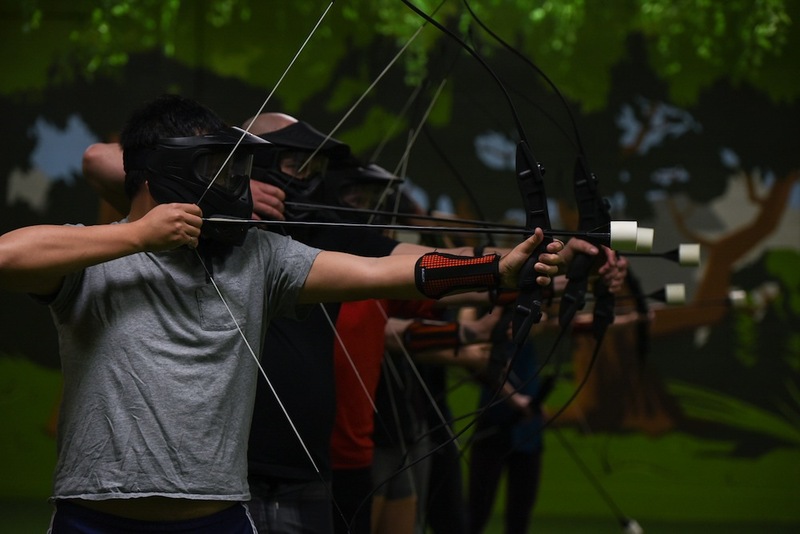 Discover your inner Katniss Everdeen or Robin Hood while shooting foam-tipped arrows at people in an indoor, forest-themed arena. So what is archery tag? It’s essentially dodgeball played with foam-tipped arrows instead of balls. Players don a mask that covers their face and ears and an arm guard before warming up in the archery shooting range. Then, they take to the field, in teams of up to 10, where they’ll try to get the other team out by hitting them with foam-tipped arrows. Teams play in the arena for around an hour with a short break in the middle. There’s a referee to help keep the game on track. 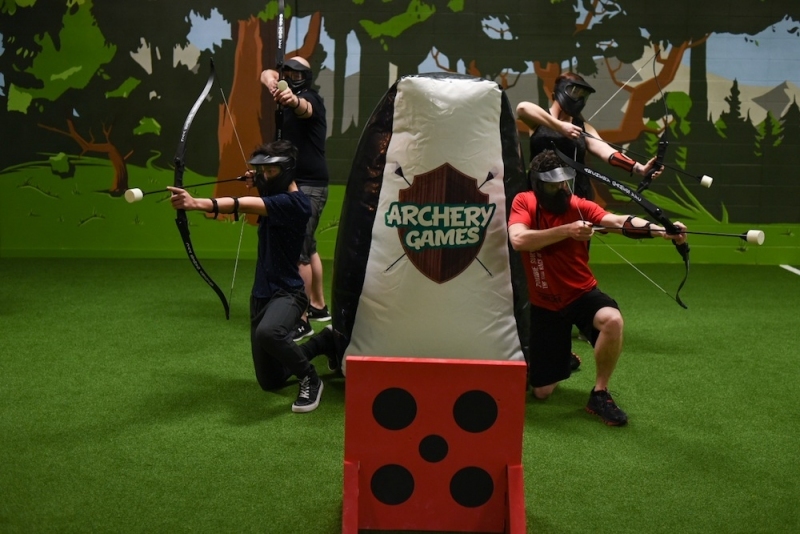 The archery tag concept was brought to Calgary by the team behind popular local escape room company The Locked Room, who partnered with the Archery Games location in Ottawa. Co-owner Adil Hooda describes archery tag as an “addicting” experience. There are also several different game modes, which introduce new twists, props and goals into the game to create a different playing experience. For instance, in the “Medic” mode, there’s a player designated as a medic that can use a shield to “heal” other players that have been hit. And of course, the question that anyone who has played games like paintball will want to know – does it hurt? “How I kind of explain it is it’s like getting hit with a bean bag,” Hooda says. After letting Hooda shoot me with one of the arrows, I can confirm that that description is pretty accurate. 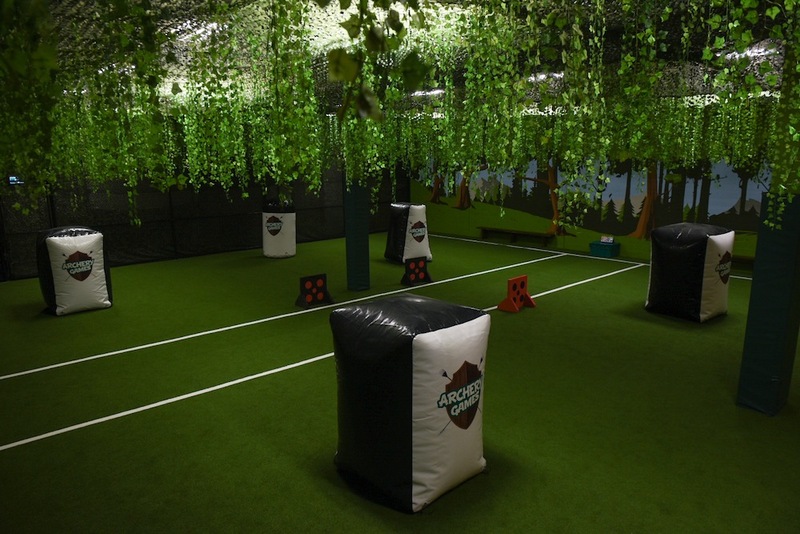 The forest-themed arena adds a lot to the archery tag experience. The more than 3,000-square-foot arena has fake vines hanging from the ceiling, a forest painted on the walls and a green astro turf playing field. A few inflatable bunkers are scattered throughout the space to provide cover when needed. Inside the Archery Games arena. Photograph by Jackie Ho. To play, simply book a public spot for you and a few friends to battle it out against other players. Children can also book a spot during youth hours on Saturdays and Sundays. And in May, guests will also be able to sign up for a competitive archery tag league, which will play on Monday and Tuesday nights over an eight-week season.